Why don’t we know what environmental factors cause autism? Scientists can rattle off lists of dozens of genes linked to autism, but there’s much less agreement about which elements of the environment contribute to the condition — and by how much. In 2013, data from a massive study of more than 85,000 children in Norway suggested that women who take folic acid supplements early in pregnancy lower their risk of having a child with autism. 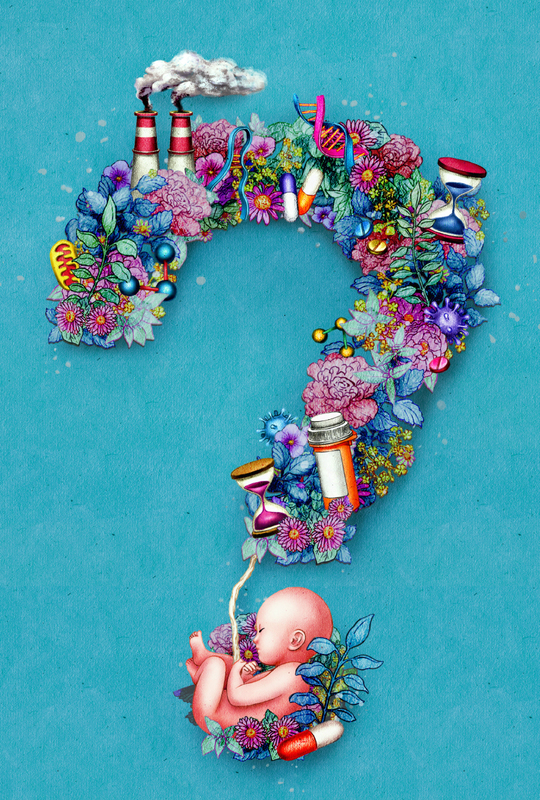 Last month, an analysis of a similarly designed study of more than 35,000 mothers and babies in Denmark found no link between prenatal vitamins and autism risk, raising doubts about the Norwegian finding. Science is always an iterative process, but in the case of pinpointing risk factors for autism, progress has been remarkably slow and difficult. In the past decade, dozens of papers have proposed a vast array of factors that potentially contribute to autism: vitamins such as folic acid, maternal depression and antidepressant use, premature birth, Cesarean birth, advanced paternal and maternal age, overweight parents and exposure to anything from endocrine-disrupting chemicals to air pollutants and pesticides. Some research even suggests that a younger sibling born either too soon or too long after the first child has a heightened risk of autism. All of these are considered environmental risk factors, a term scientists use to refer to anything that isn’t the direct result of a DNA sequence. Almost everyone agrees that autism is caused by a combination of genetics and the environment. But while geneticists can comfortably rattle off lists of dozens of autism-linked genes, there’s much less agreement about which environmental factors contribute to the disorder — and by how much. Research in this area often yields inconsistent results, with risk factors continually being proposed but rarely being definitively confirmed or shot down; only a handful of factors (including maternal infection and parental age) are broadly accepted. Yet identifying environmental risk factors has great potential to make a difference in autism. We already know how to change some elements of a person’s environment, whereas altering a person’s genes is still largely the realm of science fiction. The reason it has been so difficult to prove what causes autism hinges on the difference between associations and causal relationships: Drawing a direct line between cause and effect in a messy, complex world is inherently challenging. The epidemiological studies that are scientists’ main tool for investigating environmental risk are fairly good at identifying associations between something in the environment and a diagnosis, in this case autism. But those statistical relationships cannot by themselves prove that one thing causes another. “The problem with epidemiology and observational science is that it’s hard to ever completely know you’ve got causality,” says Marc Weisskopf, associate professor of environmental and occupational epidemiology at the Harvard School of Public Health. This problem has plagued science for decades, but researchers are developing methods that hold promise to solve these problems — and perhaps even help them point the causal arrow in the right direction. Autism genetics has been a hot area of research since the 1970s, when twin studies suggested that the disorder is highly heritable. But for a long time, genetic studies failed to find a single obvious cause. Meanwhile, increasing awareness of the environmental component to many conditions pushed the scientific pendulum toward exploring non-genetic causes. The rigorous search for environmental risk factors for autism began roughly a decade ago, meaning that this research is still in its infancy. “People haven’t been looking at environmental factors that long in comparison to genetic factors, so there’s still a ton to be learned,” says Lisa Croen, director of the Autism Research Program at Kaiser Permanente, a nonprofit healthcare system based in California. Epidemiologists are a cautious bunch to begin with. In order to establish a risk factor as causative, epidemiologists typically apply nine criteria, including whether independent datasets agree on the associations, whether epidemiological studies agree with laboratory findings and whether a plausible physiological mechanism for the proposed effect exists. Any one of these criteria is difficult to meet, and satisfying all of them — or at least, enough of them to endorse a causal link — is a high bar to clear. Nailing down who has been exposed to how much of a particular environmental factor is another distinct challenge. To find genes that contribute to autism, blood samples are all you need. Non-genetic risk factors, by contrast, are difficult to measure. There’s no way to quickly and easily scan someone’s blood for a comprehensive record of past environmental exposures. “Molecular biology technology has not provided that huge boost that it has provided on the genomics side yet,” says Craig Newschaffer, director of the A.J. Drexel Autism Institute at Drexel University in Philadelphia, Pennsylvania. Researchers can ask study participants about potential exposures, but people are often unaware of them — for instance, a woman who unknowingly sets her baby down on grass that has just been sprayed with pesticides. Instead, researchers often rely on indirect measurements, like combing through medical records to look for autism diagnoses among children of women prescribed antidepressants during pregnancy. These methods also have their flaws. In this case, for instance, some women may not fill their prescriptions or take the medications regularly. It’s also difficult to account for all the hidden variables that can distort the relationship between an exposure and an outcome. For example, children born prematurely are at an increased risk of autism. But this could be because low birth weight is a risk factor for autism and premature children are underweight at birth, or because complications such as bleeding in the brain occur more frequently in premature babies, rather than a result of the shortened gestation period itself. In the case of autism, the lag time between a possible exposure and diagnosis makes the situation even more complex. Scientists must reconstruct what risk factors the children may have been exposed to in utero or during infancy, but parents’ memories of those times are often a blur. Sometimes, memory is biased in the other direction: Parents may vividly remember every tiny event that they think might explain their child’s autism. “The problem with epidemiology and observational science is that it’s hard to ever completely know you’ve got causality.” — Harvard University epidemiologist Marc Weisskopf. Due to these obstacles, the list of environmental risk factors that autism researchers generally agree upon is short. One of the best known and most widely accepted is maternal infection during pregnancy. In the 1960s, doctors documented a dramatic increase in autism rates among children born to women who contracted rubella while pregnant. That was an early clue. Then in the 1980s, scientists began to investigate links between maternal infection and schizophrenia, first by using the timing of influenza epidemics to estimate exposure to illness, and later with more rigorous studies. “A lot of the work implicating the immune system in autism is directly paralleled or predated by work in schizophrenia,” says Brian Lee, assistant professor of epidemiology and biostatistics at Drexel University, who has worked on some of the most definitive epidemiological studies demonstrating the autism-maternal-infection link. Autism and schizophrenia are similar in some ways, so the idea that a mother’s infection might cause autism in her child didn’t require much of a leap. But for decades this remained just a theory. The findings that convinced most autism researchers of a causal relationship came from unusually robust epidemiological data, and from studies that demonstrated the biological mechanisms underpinning the effect. In the epidemiological realm, for example, one of Lee’s large studies used data from the Swedish medical system to show that being hospitalized for an infection during pregnancy increases a woman’s risk of having a child with autism by 37 percent. Medical records are better than imperfect human memories at recalling the timing and severity of illness. These records also included the children’s autism diagnoses, increasing confidence that the outcome being measured was real. Meanwhile, a different type of evidence pointed in the same direction. Some teams documented altered levels of immune molecules in pregnant women whose children would later be diagnosed with autism, as well as abnormal patterns of immune markers in the children themselves. Numerous animal model studies have also shown that pregnant rats or mice exposed to pathogens or molecules that mimic infection give birth to pups that show brain and behavioral abnormalities reminiscent of those seen in autism. The finer details are still being sorted out. Some studies implicate viral infections, whereas others point to bacterial infections, for instance. And there are different answers as to when a developing fetus is most vulnerable to these effects. But the consensus is that the effect is real. Chronicling the maternal-infection story has not been easy. And for many other risk factors, reliable supporting evidence has been even more difficult to come by. Many scientists who have investigated air pollution, for example, are convinced it contributes to autism, but so far, none have been able to prove it. Governments typically track pollutant levels and make the data freely available, so “people don’t have to go out and collect data on air pollution themselves to study it,” says Hertz-Picciotto. Her team has analyzed air pollution and autism risk as part of the Childhood Autism Risks from Genetics and the Environment (CHARGE) study, a long-term, comprehensive study of autism risk factors in preschool-age children born in California. The timing of exposure offers a plausible biological rationale. Two separate studies published earlier this year found that exposure to air pollution during the third trimester of pregnancy particularly heightens autism risk. Those months are crucial for the brain development that is thought to go awry in autism. “That kind of specificity greatly strengthens the argument for causality, that we’re really looking at something biological,” says Weisskopf, who led one of the studies based on Nurses’ Health Study II data. However, not all studies have found this connection. An analysis of four large studies of child development in Europe, published in June, found no association between a mother’s air pollution exposure during pregnancy and her child’s level of autism-related traits. “We have seen a lot [of results] in the States, but I would like to see this in other regions in the world,” says lead investigator Monica Guxens, assistant research professor at the Centre for Research in Environmental Epidemiology in Barcelona, Spain. This analysis shows just how difficult it can be to compare data across studies, says Croen. It’s possible that air pollution is related to an autism diagnosis, the outcome measure in most U.S. studies, but to not to autism traits, measured in the European analysis. If only some components of air pollution increase risk, studies that measure different chemicals may also yield discordant results. Before researchers can conclude that air pollution causes autism, they may need new kinds of evidence, such as better and more personalized measures of air pollution exposure. “In general, this question on when to declare causality established is very interesting and perplexing,” says Kalkbrenner. So far, studies have estimated exposure to air pollutants by cross-referencing a person’s home address with data from nearby government monitoring stations. But the approach is imperfect. A person might live in an area with high levels of air pollution and work in a low-level one, or vice versa. Designing studies in which pregnant women wear personal air-quality monitors, or identifying biomarkers in the blood that accurately reflect a person’s actual exposure to air pollution, could supply this piece of the puzzle. Finally, scientists will need to establish the mechanism by which any toxic component affects the brain and causes autism. Many scientists suspect inflammation or other immune-related pathways are involved. “A lot of those same markers that we see altered in kids with autism are what we also see turned on by air pollution exposure,” says Heather Volk, assistant professor of mental health at the Johns Hopkins Bloomberg School of Public Health in Baltimore, Maryland. But so far, few animal or other laboratory studies have dug into the details of these mechanisms. One strategy to establish convincing links between environmental risk factors and autism is to track children from a very early age, before autism is even suspected. The Early Autism Risk Longitudinal Investigation study, launched in 2009, enrolls pregnant women who already have one child diagnosed with autism, and so are at high risk of having another child with the condition. Because of this, the study can be relatively small (it aims to recruit 1,200 women) but still generate significant results. And because researchers follow women from pregnancy onward, they can record information about environmental exposures as they occur, even before an autism diagnosis is made, to avoid the pitfalls of selective recall. Another strategy is to get better at measuring environmental exposures. 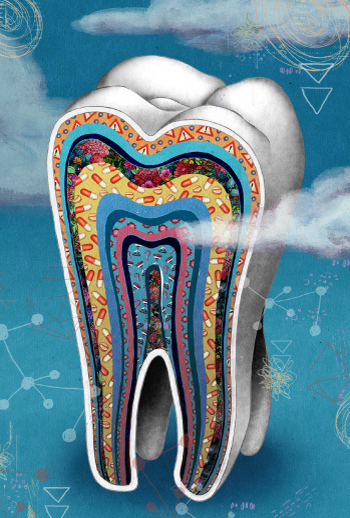 One emerging technique enlists an unlikely ally: the Tooth Fairy. Beginning in the second trimester of fetal development, baby teeth grow in concentric layers, much like tree rings. The teeth that fall out when a child is 5 or 6 years old include a finely detailed temporal record of the chemicals the child was exposed to even before birth. “Here we have a tool that can actually directly sample fetal exposure,” says Manish Arora, associate professor of preventive medicine and dentistry at the Icahn School of Medicine at Mount Sinai in New York. Researchers could use the shed baby teeth of children who have been diagnosed with autism to accurately reconstruct environmental exposures from years earlier. “At the time of diagnosis, we have a way of traveling back in time,” Arora says. During the past decade, Arora has validated the use of baby teeth as proxies of chemical exposures to study brain disorders of both childhood and aging. He’s working with several groups of autism researchers in the U.S. and Europe to evaluate candidate risk factors, including pesticides and heavy metal exposure. With the growing recognition that autism is the outcome of an interplay between genes and environment, many researchers agree that the way to get real answers is to analyze this relationship. These projects are difficult to conduct, requiring extensive information about both genetics and environmental exposures for the same subset of people. A few studies have made forays in this direction. One analysis of CHARGE study data found that children who breathe highly polluted air and have a variant of a gene called MET have a higher risk of developing autism than those with either the gene variant or air pollution exposure alone. Another study showed that children with autism who have DNA duplications or deletions associated with autism and were born to women who had an infection during pregnancy have more severe symptoms than those who have only one of these risk factors. Several teams are working on additional analyses along these lines. Ongoing epidemiology studies are also doubling back to collect and analyze DNA from their study participants to explore the two types of risk factors together. And researchers are applying environmental exposure analysis, such as with air pollution data, to ongoing studies of autism genetics. “I think there are a lot of things that can be done if we are clever with existing cohorts,” Volk says. Eventually, the interweaving of genetic and environmental risk factor studies may lead to new hypotheses and clearer answers. By the same token, identifying environmental risk factors and the mechanisms by which they do damage could help scientists identify new candidate genes for autism. “It’s really a false dichotomy,” between genes and environment, Lee says. Scientists call this chemical soup — which also includes the body’s own hormones, signaling molecules made by the immune system, vitamins and other dietary factors — the ‘exposome.’ A particularly ambitious effort to tackle the exposome in relation to autism is underway in the Netherlands, where researchers are conducting the first comprehensive environment-wide association study in autism. Based mostly on data already from the Generation R study, which tracks the development of nearly 10,000 children born in the Rotterdam area between 2002 and 2006, the researchers are probing associations between autism-related characteristics and dozens of non-genetic factors, including maternal and paternal age, birth complications, diet and exposure to environmental toxins. They also plan to fold in genetic analysis, says team member Tonya White, a developmental neuroscientist at Erasmus University in Rotterdam. The group also plans to analyze relationships between symptoms and environmental factors in the 86 children in the study who have been diagnosed with autism. The researchers are using techniques that have helped other teams suss out environmental risk factors for conditions such as diabetes and metabolic syndrome, White says. But when it comes to autism, this kind of study represents entirely new territory. “We’re exploring the bottom of the ocean here,” she says. Rather than trying to simplify the complex landscape of risk, this effort and others like it aim to map out the whole terrain — a project that may give scientists that long-sought compass pointing the way from cause to effect. This article was republished in Slate. I’ve been amazed that the connection between autism and prenatal rubella infection hasn’t led to increased enthusiasm for immunization. It’s just an aside in this article, but it’s key. MMR is not only not the cause of autism. It is a proven way to reduce the risk of autism. Not only does it prevent the autism associated with prenatal rubella, but it also prevents the behavioral and intellectual sequelae of measles encephalitis, which can include autistic features. The irony of the anti-vaxx crowd attacking our best protection against autism is mind-blowing. How is it that it can be admitted that pharmaceuticals in pill form can cause autism (https://www.epilepsy.org.uk/news/news/new-study-links-sodium-valproate-autism being one) yet any suggestion that a vaccination could possibly cause autism in any cases of autism is balked at and vigorously denied. Do you not realise that vaccinations are an environmental component? Just a tiny snippet of what’s out there if you look. Vaccines frequently don’t work (research all the disease outbreaks in the fully vaccinated), some shed and put others at risk and it is well known that vaccine damage occurs. Sorry to introduce a dissenting view, but I am obliged to suggest that Science generally fails to report the evidence in an unbiased way. Of course it would be highly dangerous and confusing to report this rubella link as a so called direct causal link. Just as one small lie must be covered by a bigger one , perhaps here is a whiff of the truth which if widely reported, might just bring the house down. Truth speaks for itself, and the ‘No Evidence’ crowd (apology) must continue to play for time. Individuals whose heritage leaves them vulnerable to immune inflammation must be deselected from public health programs and treated differently. Of course, the budget constrains and economic objectives of public health policy does not respect the weak and frail, and would rather turn its blind eye. Keep believing that women are with high risk pregnancies are greater risk for autistic children.I had two high risk pregnancies in 2001 and in 2003. With eclampsia and preeclampsia . I also have a feeling with diabetes with high risk pregnancies also causes this . I also believe B12 causes this not nearly premenstrual vitamins. I also have a feeling about this thought women who also were in a.family that either had violence in their family , smoking in the family and hereditary health concerns. Like high blood pressure and health conditions s that causes pregnancies to be high risk. Diseases such as preeclampsia , eclampsia , previa placenta,diebeties,clots ,pad,heart problems, depression such as anxieties , I believe anything we put in our bodies causes autism.I do not think folic acid or vaccines or formula causes this but more like disease , health and pregnancy history . I mentioned this to my family doc and to my obgyn they just starred at me . I am scared to be pregnant again knowing two of my girl ‘s ages 14 and 11 have autism. I think its how pregnancies cycle history and pregnancies of women that causes this my opinion . I also feel that low birth weight causes it as well my kids were born with low birth weight . I’ll preface my question by first stating that I am a father of a 7 year old boy with ASD. My theory is that the “misuse” of cradle swings can cause ASD. I go into more details in my comment of the same article in Slate. Did you by chance use cradle swings with your girls? Complications at birth have been reported more than any other adverse event in the medical records of children with autism, but this is a taboo subject. Brain damage in the auditory pathway was reported decades ago in monkeys subjected to asphyxia at birth (see WF Windle, Scientific American, October 1969). So what do they do now? The umbilical cord is clamped immediately after birth, whether or not a baby has taken its first breath. This huge medical error became standard practice in the mid 1980s. Traditional textbooks taught that pulsations of the cord should cease before tying or clamping it. Pulsations are evidence of postnatal blood flow to-and-from the placenta, and continue until the fetal heart valves close (ductus arteriosus and foramen ovale). Rubella, prenatal exposure to valproic acid and other drugs, PKU, tuberous sclerosis, neurofibromatosis and other genetic disorders are all known causes of autism as well as difficult birth. The brainstem auditory pathway has higher blood flow than any other system in the brain, and is vulnerable to damage by all of autism’s myriad causes. The auditory pathway is essential for language development. Prenatal drug use and umbilical cord clamping should be stopped. Autism should be the priority now that polio was in the last century. Such strong denials when there is such strong evidence to the contrary are very unwise. How is it that it can be admitted that pharmaceuticals in pill form can cause autism (https://www.epilepsy.org.uk/news/news/new-study-links-sodium-valproate-autism being one) yet any suggestion that a vaccination could possibly cause autism in any cases of autism is balked at and vigorously denied. Do you not realise that vaccinations are an environmental component? “But because autism is relatively rare…” ??? This is a very uninformed statement. Thanks, everyone for being part of this discussion. I think a lot of the theories and experiences shared here are very interesting, and they also really point to the difficulty involved in studies of environmental factors and autism: that is, precisely the issue of moving from a correlation between two events to a firm confirmation of causality. It’s just a difficult task any way you slice it. I also wanted to pick up on the question about autism being “relatively rare.” From the point of view of people’s everyday experience, yes, autism is quite common (whether the prevalence is 1 in 100 or 1 in 45 or somewhere in between). But, to an epidemiologist, this still qualifies as “relatively rare” — autism is much less common than, for example, cardiovascular disease or diabetes. And its prevalence is such that designing good epidemiological studies requires big study populations and lots of financial resources. can you say where you feel the present course of research can break through the problem you have highlighted (‘confirmation of causality’ ), or is the lack coordination in the research projected to never find the mythical smoking gun. This ‘relatively rare’ condition as you put it, appears to be on the increase, as are the more common cardiovascular, and diabetes epidemics. Yet research into say type 1 diabetes with its relatively ‘common’ status, still perplexes the research establishment. Environmental complexity in the relatively larger populations adds its own genetic and cultural nuances. So for example one study identifies an intolerance to cow milk triggers diabetes mellitus whereas perhaps the same study elsewhere draws a blank. Solutions to complex problems do have complex solutions, so perhaps one size doesn’t fit all, as in your ‘confirmation of causality’ Do we need to remodel the solution? Mark, you’re right that this difficulty in moving from correlation to causation isn’t unique to autism, it’s something that bedevils environmental epidemiology in general. I don’t think we have to throw up our hands and conclude that we will never know anything for certain, though. I’m optimistic that (1) the ability to begin to tease out how genetics influence the risk posed by environmental factors (as you allude to with the diabetes studies) and (2) advances in measuring exposure or biomarkers of exposure more precisely will give us a clearer picture. I’m really excited to see how this literature develops over the next few years. In Dravet Syndrome, a really rare form of epilepsy, an average of 1 in 30,000 kids develop it —there is an extraordinarily out sized reaction to vaccines. According to the WHO while among the normal population, 1 in 200,000 have a febrile seizure to vaccines, 1 in 4 children with Dravet’s have a reaction to the second or third DTaP vaccine. I also read 1 in 4 children with Dravet’s Syndrome show autistic behavior. I am NOT saying that the DTaP causes Dravets or Epilepsy or Autism. I am not against vaccines. It seems extraordinarily apparent to me, however….that whatever causes Dravet’s could be correlated with the acquired immune system (because it doesn’t happen at all with the first shot), and an out sized, highly atypical immunological response is the product, but for the most part, only for the child with Dravet. Although they make up .0033% of the birth cohort in any one year, they have 2.5% of the febrile seizure reactions recorded. They have a 75,000 fold increase of having a reaction over a non-Dravet child. That’s pretty dang selective, if you ask me. .
Mary Arneson, I agree, vaccines have led to a great lessening of a known cause of autism, Congenital Rubella Syndrome, which increased the chance of autism 200 fold…that is, children whose mothers had it during a particular time in pregnancy, their children were 200 times more likely to develop autism than mothers who did not develop Rubella, or German Measles as they used to call it. If vaccinated diseases can cause death, they surely can cause autism. I would prefer the autism. One more time I want to emphasize the vaccine reaction…not the vaccine damage, but the reaction tells us something in another case, one that is near and dear to my heart. My son had an HHE to the DTwP about 21 years ago. I never felt I had an adequate answer when I tried to discuss it in science forums. But I did notice in PubMed that although it was equated undeniably with the vaccine, only ONE long term follow up—-6 years—study had been done regarding children who had that reaction. It had been begun 15 years before my son was born. The ONLY long term follow up study. It was very small, 8 children were followed up. Guess what? Four of the eight children who had a hypotonic hyporesponsive episode had genetic signs of conditions related with autism: There was a child with Goldenhar Syndrome, a familial language disorder, another child with cafe au lait spots (possible Neurofibromatosis or Tuberous Sclerosis…my son has a few of them)…and one other I can never remember, but it, too, was related. Now, the four children who had the hypotonic hyporesponsive reaction to the DTwP, their conditions were such that we KNOW they began in early embryogenesis, as early as week 4 to 6, possibly before the mother even knew she was pregnant. The birth marks were evidence they began while the CNS was developing. So the children were going to be autistic before they ever had a vaccination. BUT……because of ~something~ we aren’t quite aware of yet, only guessing at, as this great article alludes to….because they were susceptible to begin with, they had a far greater chance of having a reaction. Autism in now 1 in 45, but they had a 1 in 2 chance of developing a reaction. Not to be simplistic, although I am….but is anyone else sensing a pattern here? Another thing I have studied; a child with epilepsy in his familial background, not necessarily the child, but mom or dad or sibling, is 3 times more likely to react with seizure to certain vaccinations. It used to make me so angry that the reactions were dismissed. They are trying to say that 1 in one million children have a serious reaction to vaccines. NO…one in one million have a life threatening, or long term damaging reaction to vaccines. About 99% of children can handle vaccines with no serious reaction. But for children with immunological disorders, we already know to keep them safe by denying them vaccines. But what if what causes autism is an immulogical disorder? Wouldn’t that explain why some parents like me, especially in the past, darn near lose their minds when science says there is no correlation?? I’m NOT saying vaccines cause autism. But I am saying, what causes autism causes vaccine reactions. Forgive me….I had to get it out. I don’t know the Dravet’s Syndrome literature in detail; this wasn’t something that was part of my reporting for this piece. But I can say that the general logic you are proposing — X is associated with Y, but it’s not because X causes Y, it’s because Z causes both X and Y — is something that scientists have suspected about Cesarean birth. That is, it may be that Cesarean birth is associated with autism but C-sections don’t cause autism; instead, some other underlying factor raises the risk of both autism and the need for a C-section. So your logic seems sound to me, although again, I can’t comment on the Dravet’s link specifically. Thank you for telling me my logic is sound…I’d always suspected it was. Now, what I need to learn to do is keep track of where I obtain my numbers, and how realistic the studies are. Not all studies are reliable. It is so time consuming, and I’m not used to it. This study on Dravet was still in my dropdown menu. This gives the 2.5% of all febrile seizures being equated with Dravet’s . http://www.ncbi.nlm.nih.gov/pmc/articles/PMC3675088/ The 1 in 4 seizures following DTwP vaccination for kids with Dravet, actually it was 27%, is from the bottom of page 4, here, under the label Dravet Syndrome. http://www.who.int/vaccine_safety/initiative/tools/DTP_vaccine_rates_information_sheet.pdf It states later (next page) DTap is similar but less frequent. There is no Dravet label. This particularly interesting WHO Information Sheet was dated May of 2014, so it isn’t old. Those 2 are where I got most of my information. There are three numbers that interest me exceedingly. The 200 fold increase of autism among offspring of mothers with maternal rubella infection, the 50 fold increase of autism among MZ twins (although, only 50-90% concordance), and this strange study looking at the possibility of cerebellar damage at birth causing a 36 fold increase: https://www.autismspeaks.org/science/science-news/studies-implicate-early-injury-cerebellum-major-cause-autism Those are really, really, really big odds if they are correct. Bigger than most. Febrile seizures are not life-threatening or disabling. About 2 to 5% of children are likely to have a seizure caused by fever before age 5. Vaccination is not associated with an increased risk of afebrile seizures, epilepsy or irreversible neurological damage.,  However, it cannot be excluded that vaccinations might trigger seizures in certain subgroups of children with a high seizure susceptibility. These are kids with an already existing seizure disorder. The recommendation is vaccinate them. There’s no difference in outcome, and they’ll be protected. There’s no difference in outcome, vaccinated or not. What causes autism? Two massive sequencing studies published in the last year have definitively answered the question. Autism is not an immunological disorder, although children with autism do often have co-occurring conditions. Cathy, I agree with all you say…except….we can’t say that Dravet isn’t immunologically related…because we don’t really know the true etiology of epilepsy, in most cases, do we? Or of autism…we can’t really say, regardless of genetic disease, what the cause is or how to remedy it just yet except in a few cases, like PKU and Galactomsemia. There are like 30 diseases that are tested for in the heel-prick at birth so that diet or other remedies can change the outcome of the child. The diet for PKU was determined long before the genetic basis of it was found. It is a fascinating story.Anyhow, there is currently no story like that for kids with Dravet Syndrome. That doesn’t mean they won’t figure it out one day, though. Because of birth marks on my son, shagreen patches and cafe au lait spots, genetic testing was indicated when he was about 8 when we went to a specialist. We couldn’t afford it at the time. We were told to watch for other indications. The interesting thing about the skin anomalies is that they develop when the CNS of the fetus begins to develop, and they are often an indicator of genetic disease, and that is why every child with autism should have a skin exam. Tuberous Sclerosis and Neurofibromatosis are two genetic diseases that I know of, personally. They also can be tested for, genetically. But you can’t just stop at the genes. You must know how to treat it, or it’s just another label. Dravet Syndrome causes vaccine REACTIONS (please note, I did not say vaccine DAMAGE) in one of 4 kids with the syndrome. Typically, one in 200,000, according to 2014 WHO estimates have a febrile seizure reaction to a vaccine.That damn Dravet’s really increases the odds, doesn’t it? Why? I think so many parents have seen real reactions because their children are autistic. Whatever causes autism, most probably something determined at conception causes them to be much, much more likely, in the case of Dravet’s, 75,000X’s more so. They are vulnerable to vaccine reactions for some reason. You can’t ignore that. Why does science ignore the reactions? It is a clue. We’ve got to be wise, not reactionary. I see the pro and con vaccine people as both being reactionary, two sides of the same coin. But I’m pretty much alone in this. I put it out there in science blogs because I figure I have a better chance of getting through…but it hasn’t worked that way. With Dravet, those kids are vulnerable to seizures, period. That’s why anything with a risk of febrile seizures, which I think DTaP is 1:1200 already, is going to be a lot more likely for them. But febrile seizures don’t cause any damage. They aren’t life threatening. Thanks for the info on Rapamycin. It reminds me of a possiblre treatment for Rett Syndrome. Same thing, Control the body’s immune response, slow the progress of the disease. At least in theory. I’ve always wondered about PTEN, too. Ben’s head measured 2 standard deviations above normal, he was a big baby, anyhow, in the 97th percentile in height and weight, so…He is adopted, too, so we have no family stories that way. Everything is learn as you go. I’ve never really heard of any medication that might do for Dravet’s what insulin does for diabetes, except for cannabis in what do you call it, where it’s just peoples stories. But just the other day I read where PTEN often affects working memory and processing speed, which Ben scores very, very low in. And I thought….”shoot”, another damn rabbit hole. Just comes a time you have to let it all go. No, that’s what I am saying…it’s not life threatening…or even more dangerous than any fever, but it -is- related to Dravet’s. Hmm…the WHO thingy said one in 200,000. I know the old DTwP was 1 in 1000…I heard the DTap was 7 times less “reactive”. You can find almost any number anywhere…from 0 per million to ..whatever. You sound like you’ve been sent through the ringer, testing wise…So fun, eh?? Did your son ever have a reaction to a vaccine? Ben did, and from the very beginning I’ve just been patted on the head and told not to worry my little mind, but…when this Dravet stuff came up, it all started to fit together. There is a vulnerability that makes you more likely to react. I haven’t seen any science that really refutes that. I don’t look on anti-vax websites, because I’ve never found anything but blame there. So many things we don’t know. I’m off to see if I can confuse myself anymore with that website you linked to. Have a great one! You are helpful, and I appreciate it. I just wish I was smarter…. Hi Ethyl, I have to say a mothers instinct carries a major portion of truth. ‘Absolute truth’ itself, is something of a proverbial hen’s tooth. But rest assured, you are on the right track. I am very glad to see a brief reference to the false dichotomy (either environment – or genetic causation). Shame on any who seek to separate environment and genes in their research of autism. Environment is the precursor of genes, including of course viral contact and chemical soups. Viral and other illnesses during pregnancy have a special significance at an early developmental phase. Complexity in the problem should not be used to veil the truth.